Waterloo – Wilfrid Laurier University invites the community to experience its annual weeklong series of events that highlight the contributions of Indigenous knowledge to education. A series of events will take place from March 5-12 on Laurier’s Waterloo and Brantford campuses. The following are highlights of the week. A complete schedule of events is available online. For additional information, contact Melissa Ireland at mireland@wlu.ca. The Red Dress Project – Red dresses will be visible on Laurier’s Waterloo campus throughout the week to raise awareness about missing and murdered Indigenous women in Canada. Supported by students in Laurier’s Master of Social Work Indigenous Field of Study program. “Driven to Success” with Kendal Netmaker, founder of Neechie Gear, an Indigenous lifestyle apparel brand that empowers youth through sport. 7 p.m., Lazaridis Hall, room 1001, Waterloo. Meditation will be led by Brantford campus Elder-in-Residence Norma Jacobs. Open to the public. 1 p.m., Indigenous Student Centre, 111 Darling Street, Brantford. Learn about Indigenous experiences with Canada’s child welfare system. The film documents the reunification of Indigenous siblings who were removed from their home as infants during Canada’s infamous Sixties Scoop movement. Following the film, a panel of Laurier staff and alumni will discuss their first-hand experiences in Canada’s child welfare system. Film: 6:30 to 8 p.m.
Panel discussion: 8 to 9 p.m.
Bricker Academic Building, room 201, Waterloo. Soup and fry bread will be served at Laurier’s Brantford campus Indigenous Students Centre. Open to members of the Laurier community and the general public. Co-hosted by Laurier Students’ Public Research Interest Group. Noon to 2 p.m., 111 Darling Street, Brantford. Watch Indigenous students at Laurier as they make traditional deer hide drums. 1 p.m., Laurier Library Maker Space, first floor, Waterloo. 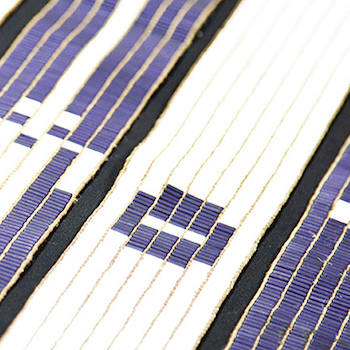 Learn more about Indigenous initiatives at Laurier.